PX Technician Series Eco-Lite FE2 has been developed to support the latest engine lubricant requirements for petrol only GM engines. 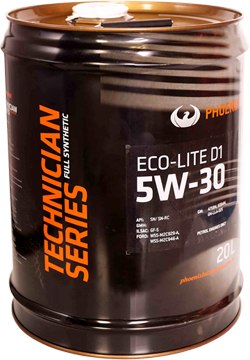 PX Technician Series Eco-Lite FE2 is a fully synthetic engine oil that is specifically designed to increase fuel efficiency, reduce engine emissions, promotes long engine life, and minimizes the number of oil changes. It meets the highest API SN Plus and ILSAC GF-5 classifications and exceeds the most demanding requirements needed by today’s modern engines. PX Technician Series Eco-Lite FE2 is NOT recommended for diesel engines.